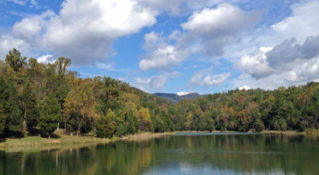 Cascading through one of Virginia's most scenic canyons runs St. Mary's River with fishing, hiking and camping. Once considered one of the premier trout fishing destinations on the East Coast, the St. Mary’s River has been seriously affected by decades of acid runoff from mining in the area. 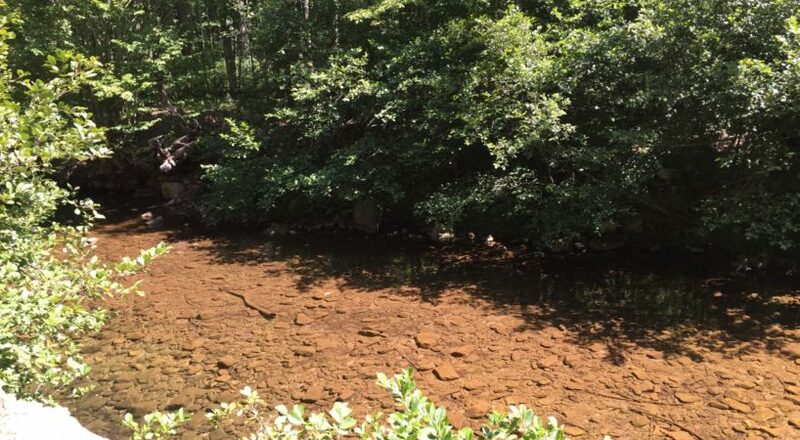 However, since mining ceased, the Virginia Department of Game and Inland Fisheries (VDGIF) has taken successful and substantial measures to restore the streambed and revive populations of native brook trout. 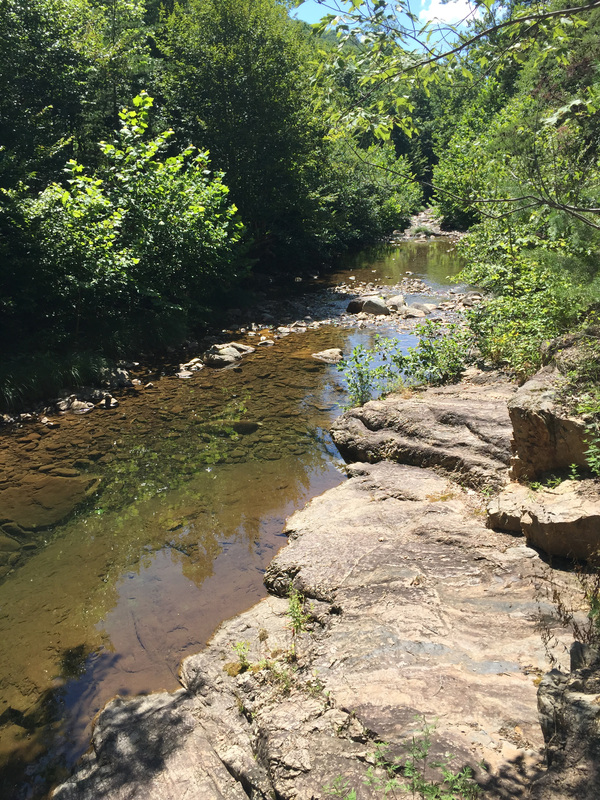 By depositing limestone substrate into the headwaters by pack mule, aquatic insects and the species that rely on them have been making a serious comeback. Since the river is located in a vast wilderness area, it provides an excellent opportunity to hike, explore, and appreciate natural beauty. 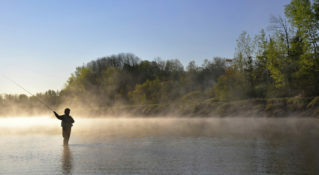 The VDGIF website offers additional information about the river and its outstanding fishing opportunities. From the Lexington Visitor Center, drive west on Washington Street to a right onto Main Street (US-11 Business). Continue driving north on US-11 for approximately 16 miles and take a right onto Tye River Turnpike (Route 56). Follow Route 56 for about a mile and turn left onto South Bottom Road / Cold Springs Road (Route 608). Follow Route 608 for two miles and pay close attention to signage, as the route requires a few slight turns. Only a quarter mile after crossing a bridge, turn right onto St. Mary’s Road and follow it to the parking area. Access begins in a small parking lot, and a primitive trail follows the stream for miles. 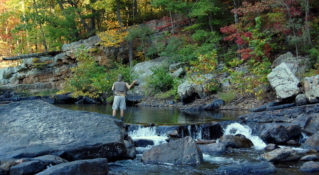 Come for a multi-faceted outing complete with fishing, hiking, and camping! Gertie’s Country Store serves delicious homemade potato salad, sandwiches, and other delights. Enjoy a bite on the porch or pack it in with you for a snack while you fish.